Saying goodbye remains one of my least favorite events in life. But it’s not the goodbyes I say to my family that get to me. Those are more like “see-you-laters.” I truly dread the goodbyes that might be the last time I ever see someone, and my first goodbye of this nature happened upon leaving the dormitory of MIU. I often can’t explain what happens when I travel, but I develop friendships that emulate having been friends for years. 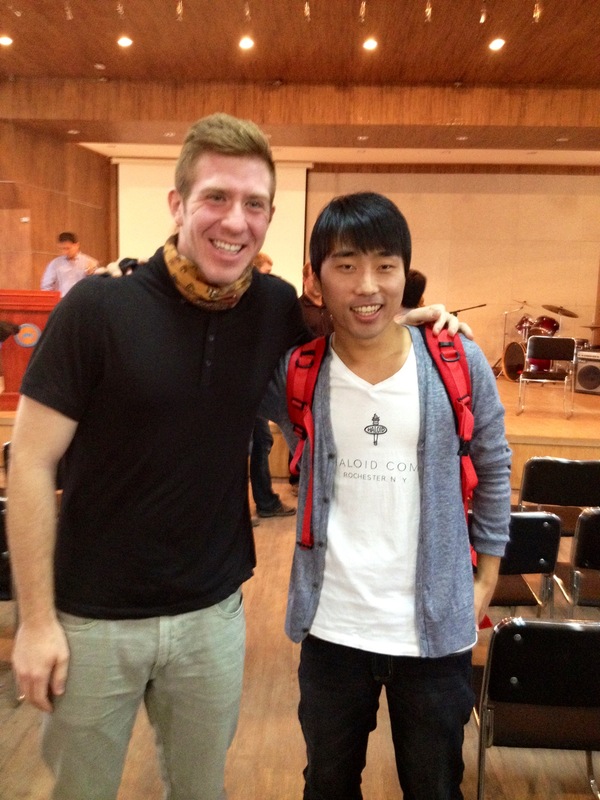 Upon arriving in Mongolia, I met Johnny, a foreign exchange student from Korea studying at MIU. Our friendship developed through late nights of laughing, vegan meals, and simply talking. We came to the point of dropping by to hang out, loaning clothes to each other, and sharing about our being away from home. A brotherhood of foreign blood was present. Despite all of our time shared together, there I stood, having to load the bus and leave another friend behind. As tears filled my eyes then, they do so now as I write. I was reminded by Johnny to be thankful where ever God may lead, whether to Mongolia or the streets of Irvine. I thank God for meeting Johnny and look forward to meeting again whether it be in Korea, the world, or heaven. This entry was posted in Personal Experience and tagged ben helge, develop friendships, leave, mongolia, saying goodbye, tears by Web Team. Bookmark the permalink.